How do I register for an upcoming ICAA continuing education course? Does the ICAA offer the same continuing education courses seasonally? The ICAA National Office does not offer recurring continuing education classes on a regular basis, but aims to offer future sessions of classes whose demand exceeded capacity. Core classes are generally offered annually or semi-annually. The frequency of ICAA Chapter courses varies by region. 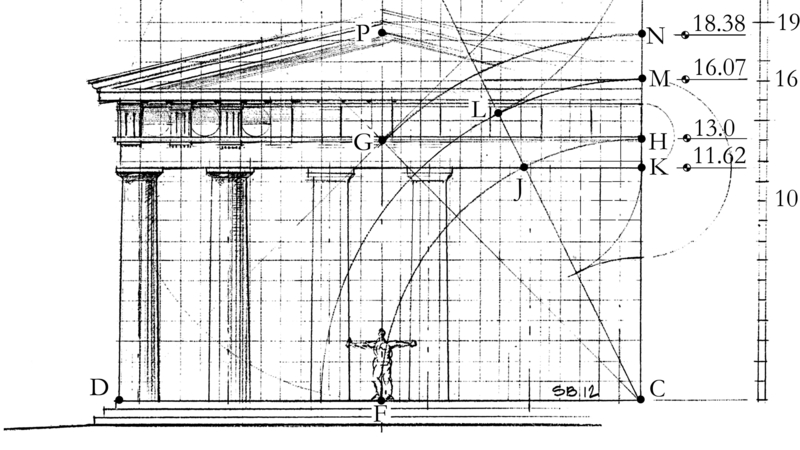 Which courses count towards the ICAA Certificate in Classical Architecture? Do I need to have prior experience to keep up in a studio-based class? Most ICAA continuing education courses are suited to all artistic and academic backgrounds. Seasoned artists and novices alike have enjoyed and improved on their skills in ICAA classes. If a class has any pre-requisites or is recommended for a certain experience level, this will appear on the class listing on the ICAA website. While Chapter courses may be listed on classicist.org, you should check the Chapter website, or contact the Chapter directly, for the most up-to-date details including dates, times, pricing, and pre-requisites. What do I have to do to get AIA/CEU credit for a continuing education course? In order to receive AIA credit, you will need to sign an AIA attendance sheet that is circulated with the ICAA’s own attendance sheet at the beginning of each class. You’ll provide your AIA number, if applicable, email address, and full name as it will appear on your certificate of completion, should you indicate that you would like to receive one. If you neglect to provide any of this information, or if you have questions regarding your credits, please contact [email protected] For questions related to a regional Chapter's continuing education course, please contact that Chapter directly. What is the difference between AIA LU and HSW credits? I am no longer able to attend a course for which I have registered. Am I able to receive a refund of my registration payment for the course? In many cases, you will be able to receive a full or partial refund of your course registration fee. For courses in the New York Region, you may refer to the ICAA's Continuing Education cancellation policy by clicking here.